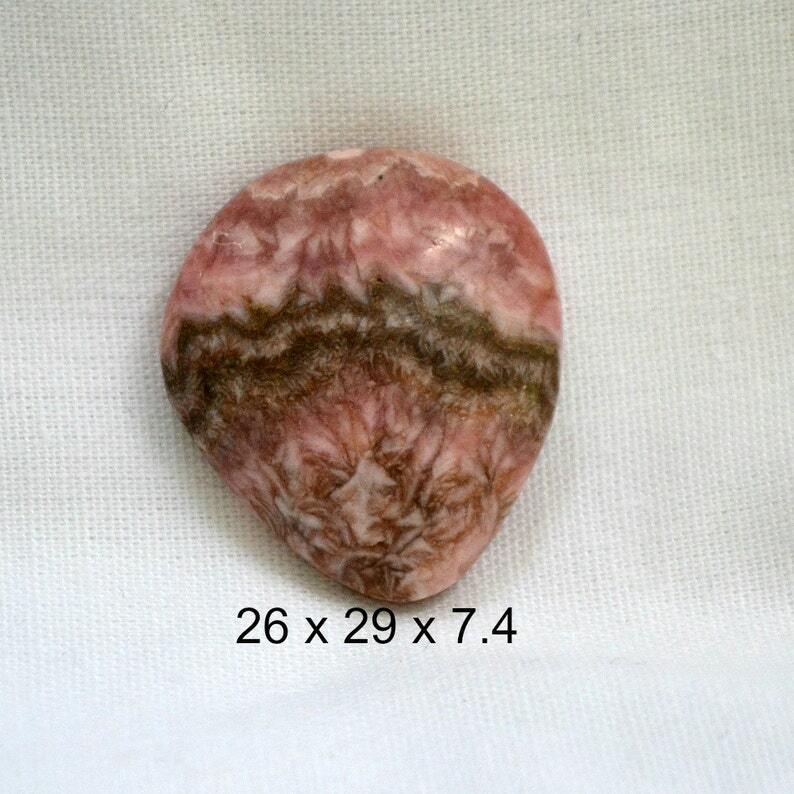 The soft pink color of this Rhodochrosite cabochon is the color of cotton candy. Almost edible (but not). Quality rhodochrosite is getting harder to find and the price continues to rise. This one has some very interesting dark sagenite. 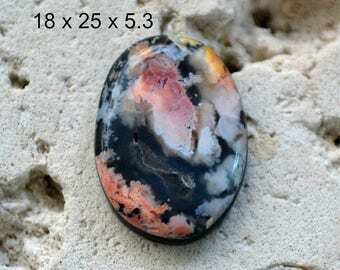 This cabochon was hand cut and polished by me, in my studio from a carefully selected slab. Payment by paypal preferred or use Etsy’s checkout with credit card.